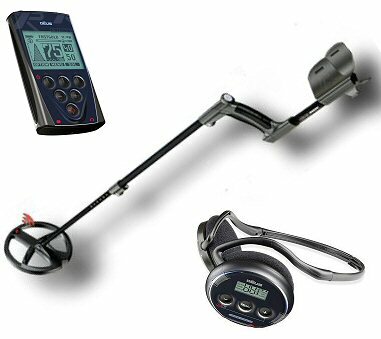 The GPX series feature lots of pending patents and represents the “state of the art” of PI metal detectors, overtaken today only by their latest model GPZ 7000 thanks to the new amazing ZVT (Zero Voltage Transmission) technology, also made by Bruce Candy himself. Let’s begin from the 12.5” DD, slightly bigger than the 11” DD Commander stock coil and sharing the same “closed shell” design. This new coil is completely waterproof while the original Minelab’s weren’t. Its weight is exactly 992 grams against the 810 grams of the 11”. The 15” DD Ultimate is quite a big coil, “open” design but with a new special technology: internal windings are not simply overlapped, but they form a perfect spiral on the same plane. This winding scheme allows the coil to be extremely sensitive and powerful and Detech claims it has the same performances of a 18” DD coil! Anyway the new spiral winding scheme needs a larger quantity of wire length to reach the needed inductance, capacitance and resistivity values making the coil heavier with its 1455 grams on the scale. Even the 15” Ultimate is completely 100% waterproof so user could submerge it without problems. Both the coils are white colored for maximum protection against UV rays to avoid overheating and possible deformations caused by sun heat. Excessive temperatures could modify the coils shape, altering electrical stability, disrupting the nulling precision and compromising performances. I want to remember that gold prospecting is usually done in arid, desertic areas and those precautions are essential to grant operating stability with such environmental conditions and temperatures. All the above mentioned coils are made with maximum mechanical rigidity to minimize false signals caused by hits and bumps, using plastic resins completely “transparent” to magnetic fields and they feature a special black cover that perfectly fits the coil. 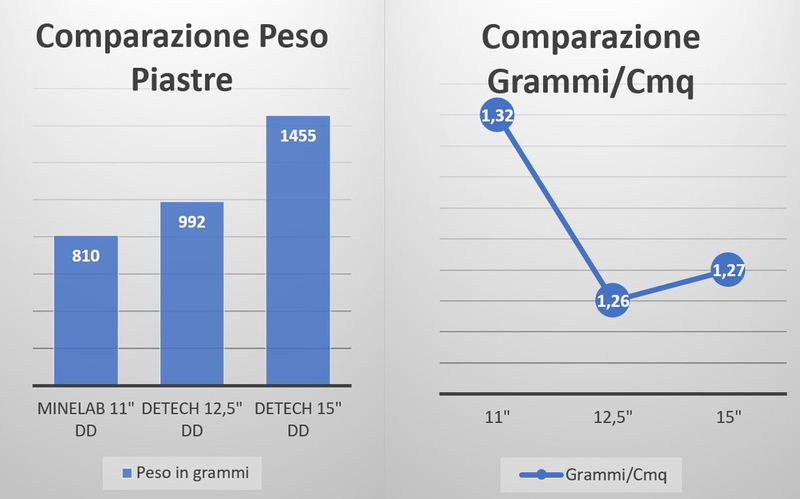 As shown in the graphs, the weight/surface ratio is still more convenient in the Detech coils compared to the Minelab stock coils, meaning the Bulgarian manufacturer succeeded in keeping the weight as little as possible. I wanted to test the 3 coil (1 stock + 2 Detech) with 4 different targets buried at different depth. 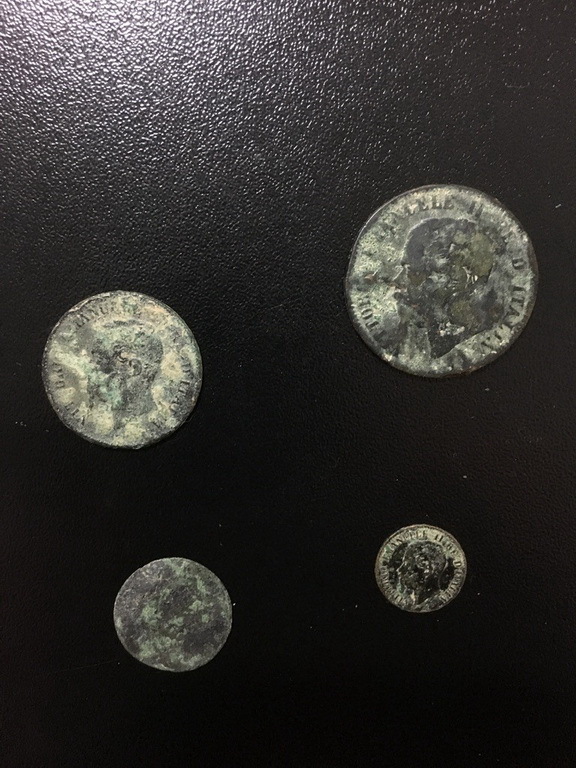 Chosen targets were the 1861 King Vittorio Emanuele series: from the little 1 Cent coin up to the large 10 Cent one, all made of copper with different size, weight and thickness. Here’s the finalized testbed were I’ve done my tests, by simply changing the coils without altering the machine settings. 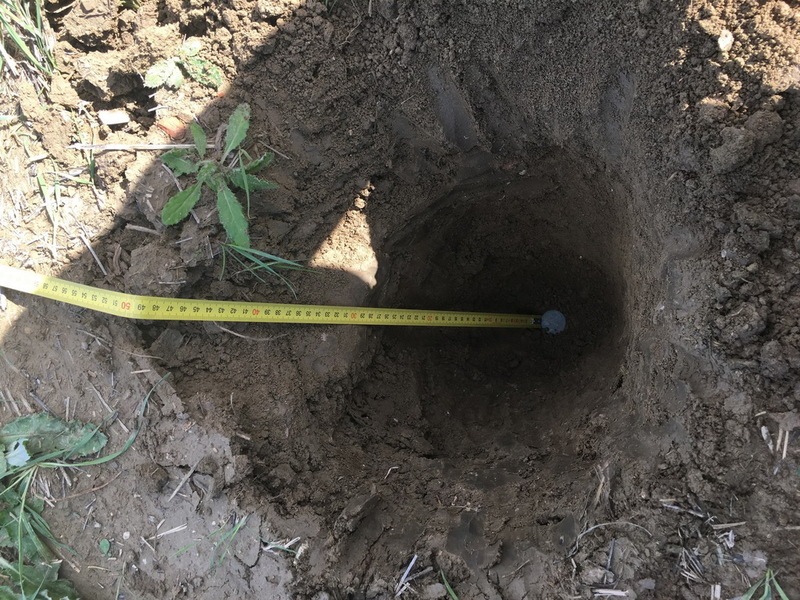 As you can see, holes were perfectly closed and the soil was pressed enough to assure a reliable test. 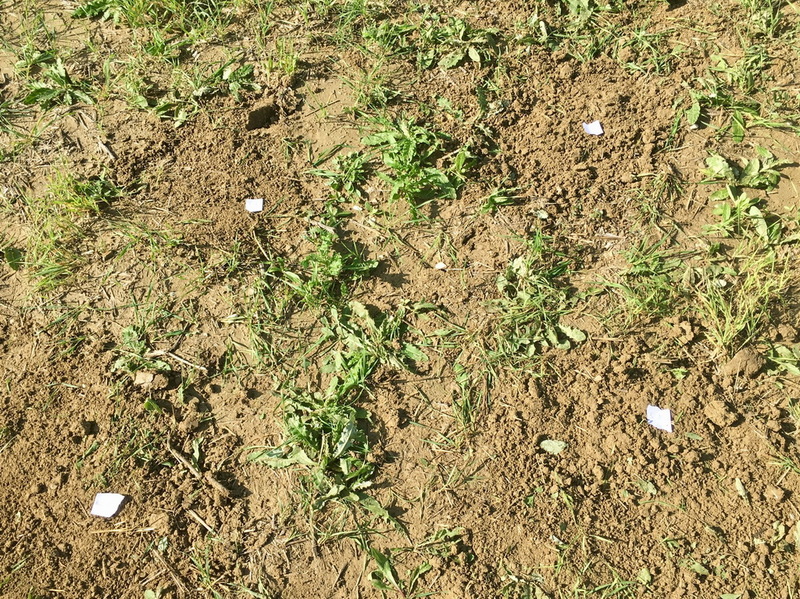 I had to mark the targets with a white little square to remember what they were and where they were! 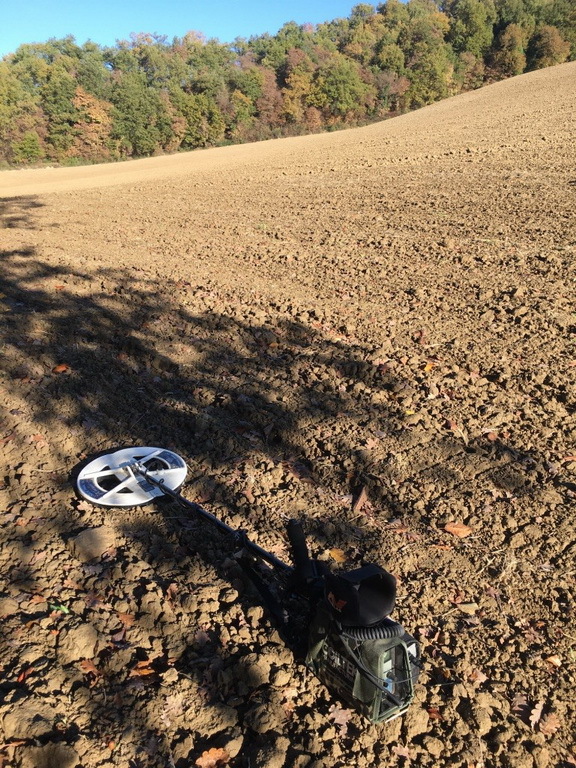 A very deep but not extreme setting, truly usable in real search. 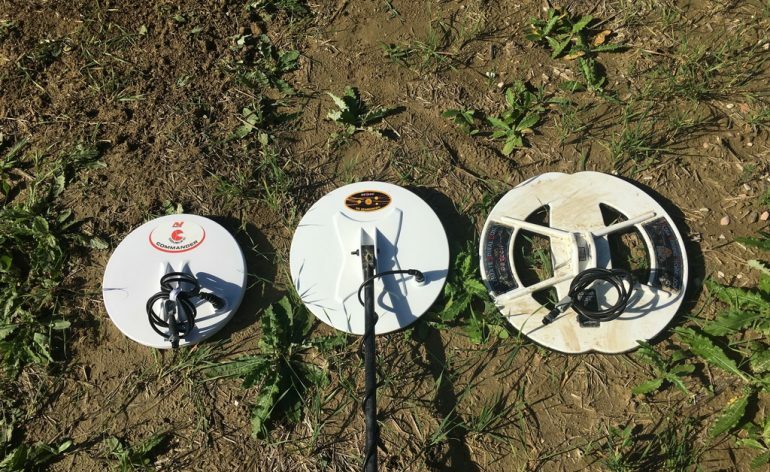 The only coil capable to detect all the 4 targets was the 15” DD Ultimate, while the 12.5” had to stop at 35 cm for the 5 Cent coin and the stock 11” stopped at 25 cm with the 2 Cent coin. Testbed soils was lightly mineralized. To have a comparison, my own high-class 18 kHz VLF detector is not able to go further than 12-13 cm with the 1 Cent coin. 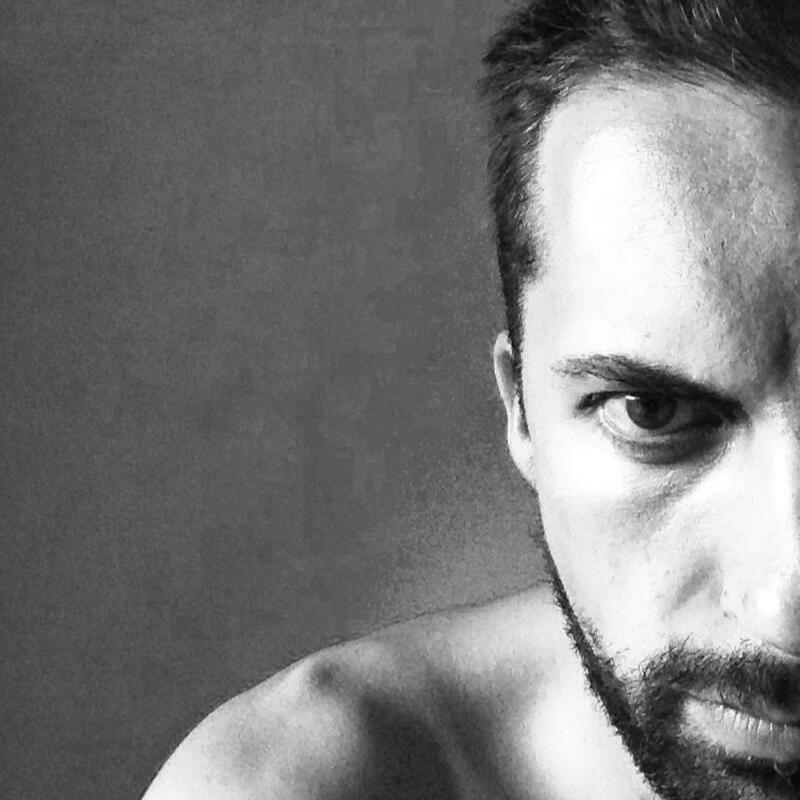 I’ve also noticed that discrimination, during the tests, have not compromised the maximum depth in any way. Even gradually raising it from 1 to 10 with all the coils results has not changed at all. If the target was detected with disc 0, it was also detected with disc at 10 and vice versa. 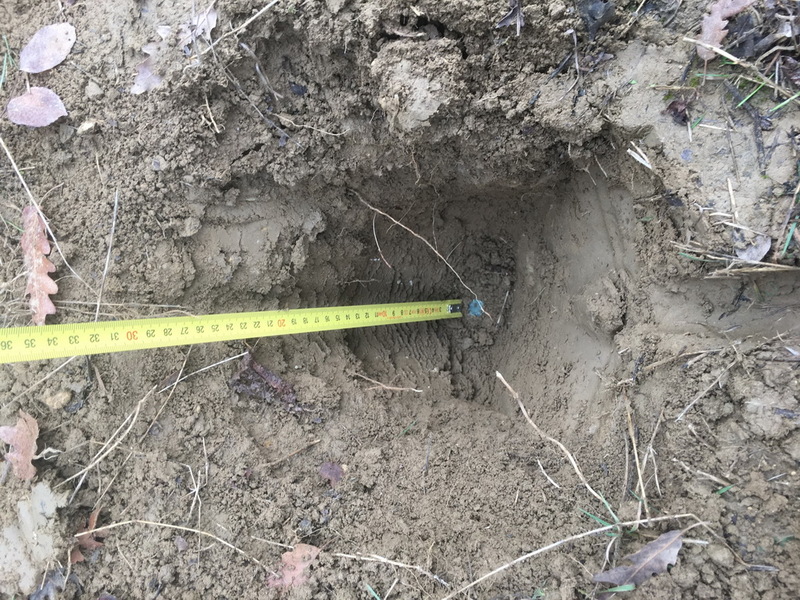 The following test was with a very small 1 Cent King Vittorio Emanuele II coin going deeper than 15 cm, increasing depth with a 1” step, up to 27,5 cm (11”) maximum depth. I’ve dug several holes were I’ve buried identical coins. I’ve just changed the coils without touching the detector settings to have comparable and reliable results. 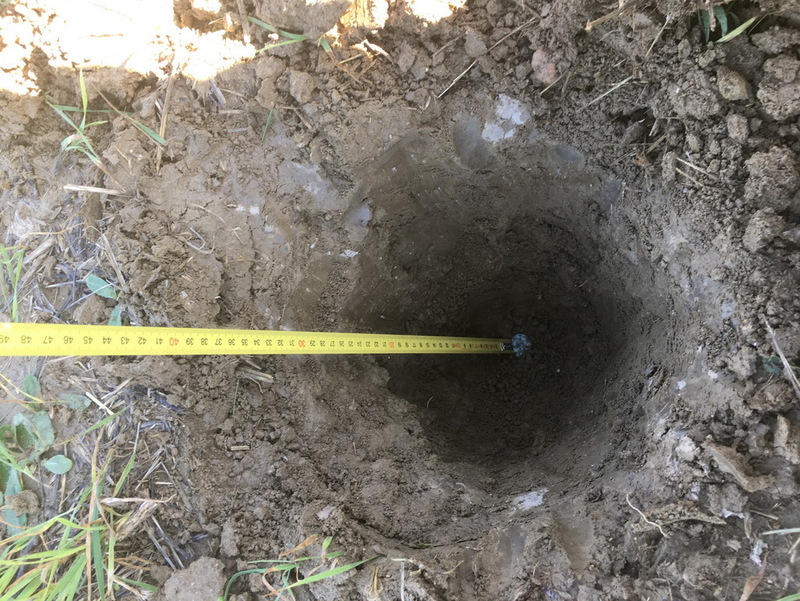 Once again the 15” DD was the Winner, easily detecting the coins at all depth (actually it could have gone even further judging the signals intensity). The 12.5” DD exceeds the 11” stock for 5 (five!) cm, reaching the 27,5 cm coin but with a quite weak signal. Anyway turning the Audio Boost ON it was signaled in a very clear and solid way. superiority compared to the stock 11” DD coil. The 12.5” DD was really enjoyable thanks to its lightweight and optimal balancing, allowing me to use the GPX without any supporting harness. Anyway the GPX 4500 is a very heavy machine and wearing a harness is always suggested if you want to do long detecting sessions or on difficult (not so flat) soils. The average detecting depth is neatly greater than the 11” one and features a very good target separation, taking in consideration the not-so-quick machine’s recovery separation. Discrimination was almost unaltered, as well as stability and ground balancing capability. Taking care of the absolutely competitive price, its performance and the waterproof feature, this coil has only PROs and will let you forget the 11” (with the only exceptions of those situations where you actually need a slightly smaller and agile coil or to achieve the best possible target separation). 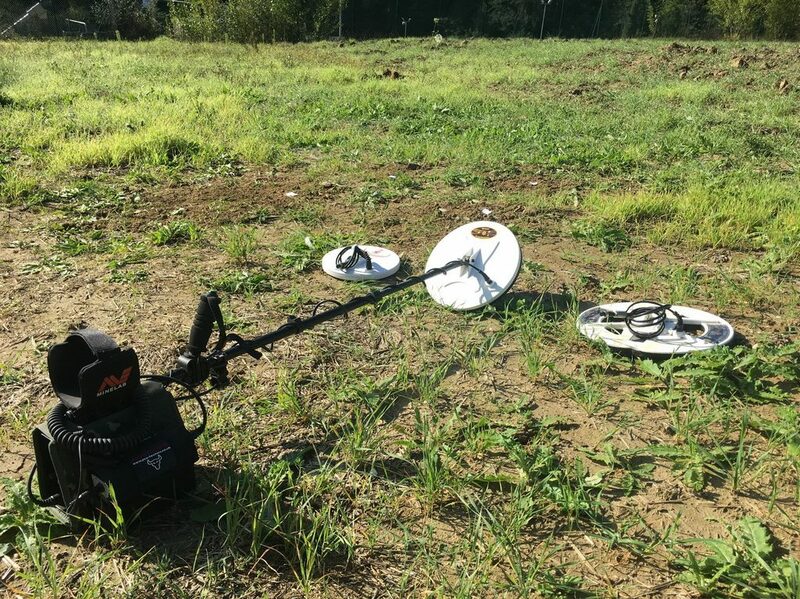 The 15” DD Ultimate is a true DEPTH MONSTER and seems not to lose anything on small targets too (and my tests demonstrate my claim), thanks to the spectacular “spiral wound” technology patented by Detech. On the physical side, even though it has a good weight/size ratio, its weight is not a feather and you will be probably forced to use a harness. 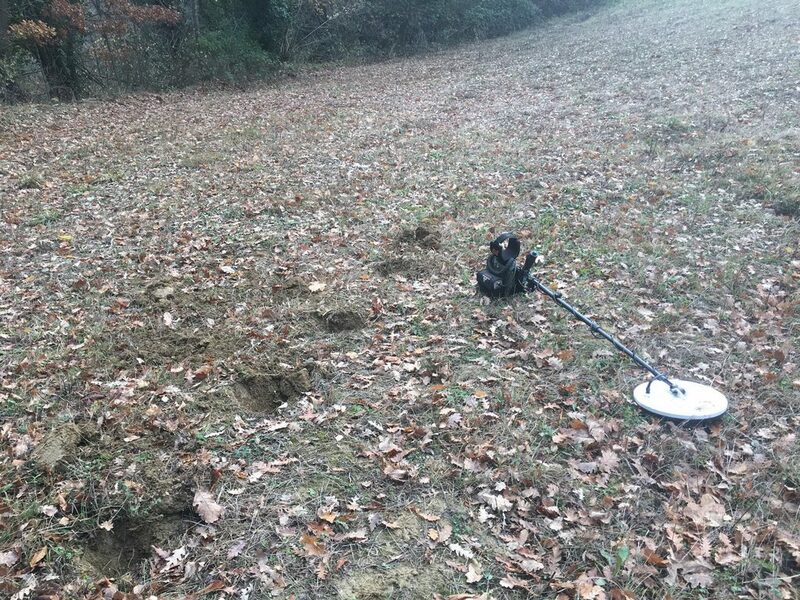 Also consider buying a top class spade because it will make you dig veeeery deep holes even for small and tiny targets. I suggest to use this coil on low trash areas, no sensible iron bits contamination and, possibly, soft soil! 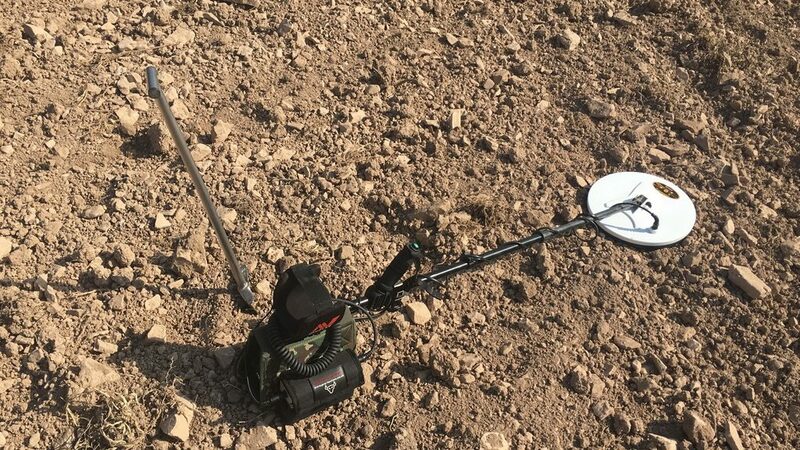 It’s perfect to go hunting again on over-hunted fields, were VLF machines cannot find any other target, or where you’ve already detected with your GPX and a smaller coil!!! 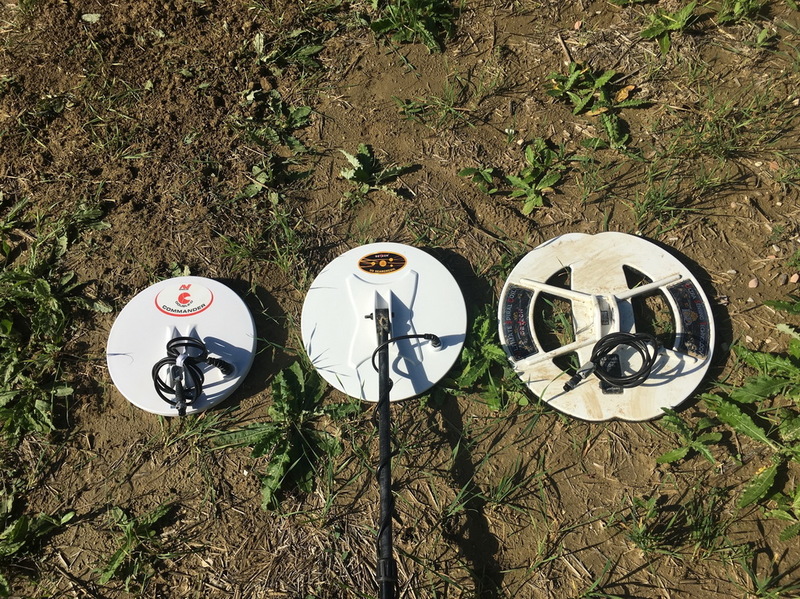 With the Audio Boost ON, high impedance headphones and a stable setting, you will reach incredible depth, especially on mineralized soils, were the best VLFs really struggle or have to surrender. 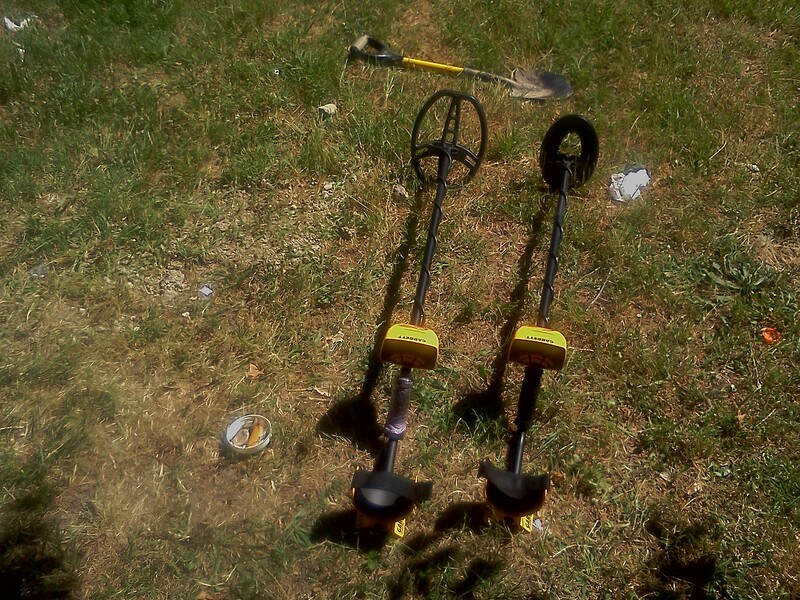 Inductance and Resistance values (measured with a RCL bridge) are very similar to the original Minelab ones, allowing the user to configure the coils with every possible timing allowed by the GPX without any kind of problem. This new Detech coils are a true valid choice: high quality manufacturing, extreme performances and an excellent price tag! A part the 15” weight (that will be paid back in terms of depth), I really cannot find some evident CONs for those coils. Not expensive, well manufactured, 100% waterproof and, above all, extremely performing! 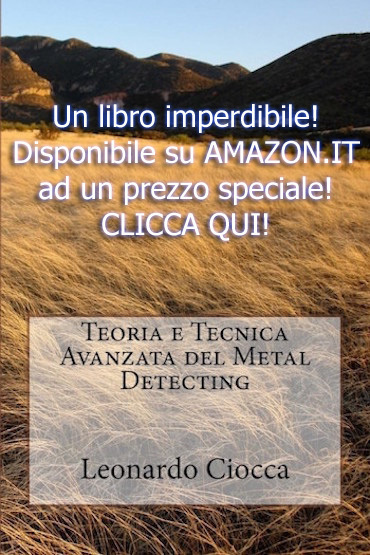 Both the coils were bought from the international Detech distributor’s website (http://detech-metaldetectors.ro) that’s multilanguage, offers free-shipping in Europe, tracking service and online customer support… Amazing! Thanks everybody for reading my review! Happy Hunting with Detech Coils!